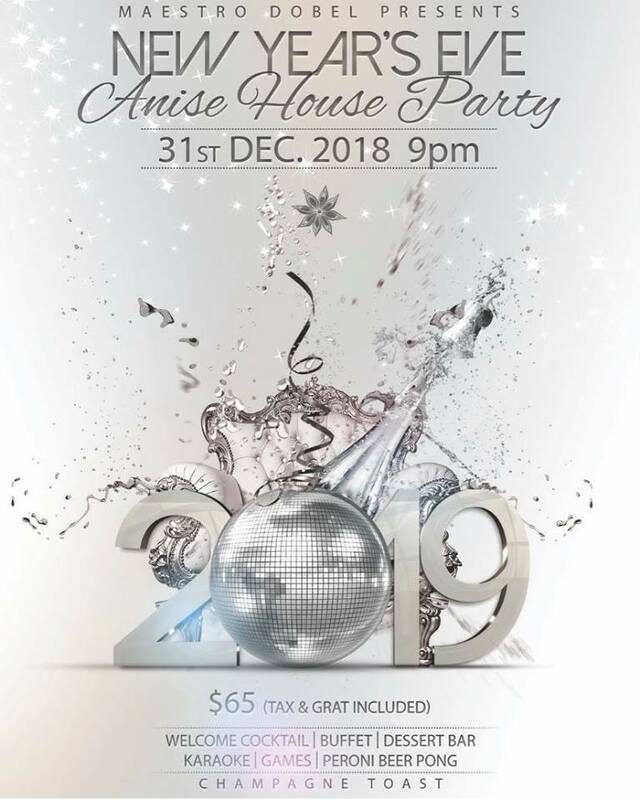 Ring in the New Year at Anise! Join us on Monday 12.31.18 at 9 pm for an event to remember. Karaoke, games, and Peroni beer pong house party style! Ticket includes admission, welcome cocktail, buffet, dessert bar, and a champagne toast. $65/ticket which includes tax and gratuity.